Immerse yourself in the world of Oscar Wilde with the collection: "The Plays of Oscar Wilde." Containing all of Wilde's plays, this collection is a must-have for every bookshelf. Oscar Wilde was born in mid-1800's Dublin to highly intellectual parents. He found a niche in the growing trend of aestheticism and was mentored by Walter Pater and John Ruskin. Although he dabbled in short stories and poems at the beginning of his career, Wilde was taken seriously after his first novel "The Picture of Dorian Gray." 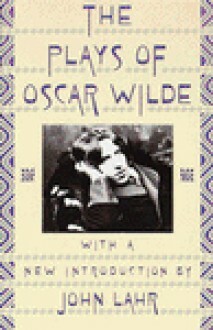 The horrifyingly beautiful tale was just the catalyst that Wilde needed in order achieve success as a playwright. The next year, he wrote the play "Salome" to mild acclaim. It was denied a performance due to its portrayal of biblical characters, but it was eventually published in London and Paris. Wilde would subsequently produce some of his most famous works, biting comedic portrayals of society which include "Lady Windermere's Fan," "A Woman of No Importance," and "An Ideal Husband." The plays were wildly funny and beloved by most audiences, though some of the upper-class patrons were shocked at Wilde's treatment of their lifestyle. Wilde would return to these same themes with his masterpiece "The Importance of Being Earnest," a tale about upper-class morality and ennui. Also included in this collection are "Vera; or, The Nihilists," "The Duchess of Padua," and the fragmentary works "La Sainte Courtisane" and "A Florentine Tragedy."